Jerry Dicker of GVD Commercial has received the Impact Award from the Downtown Spokane Partnership. It is awarded to a company, organization, or individual who has made an impact on the downtown core in recent years. From the contemporary Ruby Suites to the classic Bing Crosby Theater, Dicker's Impact on a growing Entertainment District has been instrumental in the vitality of downtown. Dicker's recent investments include the Ruby Hotel, the Ruby 2, 909 W First Ave, the former home of Dempsey's Brass Rail, the Montvale Hotel, and its neighbor the Odd Fellows Building. The Bing Crosby Theater stage hosts a wide variety of community events, from trivia nights to classical ballet, folk, jazz, and rock musicians, and comedians. 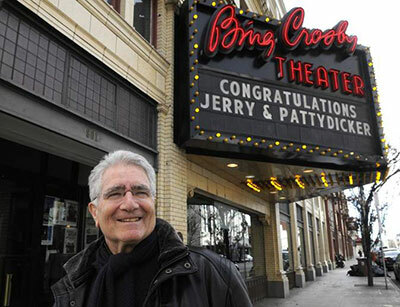 Jerry's passionate support of the arts has created beautiful streetscapes while fostering an emerging creative class. The organization's Legacy Award was given to Betsy Cowles, a driving force behind the catalytic redevelopment of River Park Square. The investment into RPS has been acknowledged over and over again as the spark that reignited the downtown community. Without RPS many argue that there would be no Davenport Hotel, no historic preservation, no Nordstrom and no Kendall Yards. Cowles remains invested in the success of the downtown core, with continued redevelopments and improvements that attract unique retail and growing business to Spokane. Thanks to Baker Development and Construction, Peppertree Court at Third and Division, is finished. The location had been vacant and a blight in our community for many years. Now it's a beautiful shopping center that provides a classy welcome to our city at the major entrance off east and west I-90. The first tenant is Man Shop barber shop which opened this past week. Their seventh location. For more information about Peppertree Court go to bakerconstruct.com. Cantu Commercial Properties, is developing a new multi-tenant shopping center at 3907 East Sprague across from the former Pepsi warehouse. The 12,000 square feet will be divided into multiple retail - restaurant type businesses. You can learn more at cantucommercial.com. Jacob's Java coffee is adding their sixth location. They're taking the former Caffe Delicio coffee shop at 2301 N. Monroe Street. For more information on Jacob's Java, go to jacobsjava.com or on facebook. This year a total of 290 different entities were nominated for the AGORA awards from Greater Spokane Inc. 34 semi-finalists have been announced. The 2016 Finalists will be chosen by March 4, and finalist interviews will happen between March 21 and April 1. Winners are selected in five categories - small and large charitable nonprofit, and small, medium and large business - and judges also award AGORAs for Community Service and Entrepreneurial Spirit. 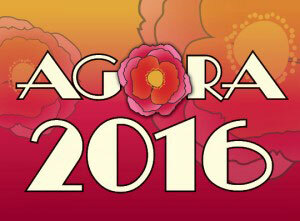 The winners will be announced at the AGORA Awards event, held in the luxurious Davenport Grand Hotel on June 1. Seating for this event is limited, and registration is open now. Visit greaterspokane.org. Custer's 39th Annual Spring Arts & Crafts Show is this Friday through Sunday, March 4-6 at the Spokane County Fair & Expo Center. This year's show features 300 professional artists and crafters from across the United States covering 78,000 square feet of exhibit space, making this the largest show of its kind in the Inland Northwest. Hours are Friday 10am-8pm, Saturday 10am-6pm, and Sunday 10am-4pm. Admission is $7 for adults, good all weekend. Kids 12 and under free. Visit Custershows.com for more information. HyperSciences, Incorporated has leased the building at 522 N Fiske for the purpose of engineering, research, and development for aerospace and drilling technology. Matthew Byrd and Gavin Lejameyer, of SVN Cornerstone, recently assisted in the lease transaction. Byrd and Lejameyer represented the tenant, HyperSciences, Inc. Mark and Tracy Lucas of Kiemle & Hagood Company, represented the landlord, Ball Investments, LLC, in the transaction. "The results you achieve will be in direct proportion to the effort you apply."